Our home is only 2 years old, and is modern and spacious. We designed it to suit our family of 5(3 teenagers)with multiple living areas,a large verhandah wrapping around 50% of the house and a large modern kitchen (we are real food lovers). The Verhandah allows for spectaular views and lovely breezes. 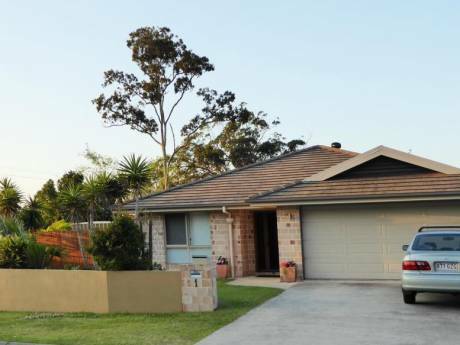 The house block backs onto Australian bushland with birds and wildlife galore, the front garden is beautifully landscaped with a lovely inground swimming pool. We live 2klm from a range of devine beaches - Dicky Beach / Shelly Beach / Moffat Beach / Bulcock Beach / Kings Beach, some have great surf, some have lifeguards and flagged areas, all are postcard perfect with trendy cafes and gift shops near by. 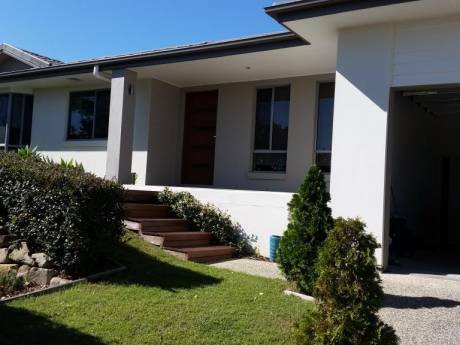 In addition to this .. the Sunshine Coast (Maleny/Montville)has a hinterland area that is a short 30 drive west, with rolling green hills, famous markets - Emundi Markets, local art galleries and award winning resturants. The Glasshouse mountains are easily viewed from Caloundra and the Hinterland - many of them can be climbed ( and we have done so with our children ) they are part of the QLD National Parks and Wildlife scheme. 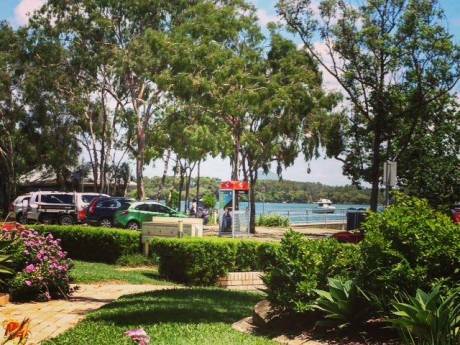 Caloundra is the southern end of the Sunshine Coast - Maroochydore & Noosa are 30 min north with many more glorious beaches and wildlife reserves. Brisbane is the capital of Queensland, and it is 45 min drive south, it has everything a city has to offer - entertainment, art, shopping, cultural tours and is great for a day trip. Ian works for the Aust. federal government implementing participation for unemployed persons, whilst I work for a private company that contracts to the Government as an Employment Advisor - asisting long term unemployed to re-enter the workforce. We have three teenage children 13 -17 years, who are all musical, artistic and talented, needless to say .. our lives seem to revolve around them mostly. Our trip to the UK in June / July 07 is to celebrate our 20th Wedding anniversary & my 40th birthday .. a trip we have had on hold for many years .. my husband and I will be traveling alone. I think they call it - breaking free ! Ian is a musican and loves outdoor adventure stuff by the gallon .. I am artistic and love culture and history, my family are all English and I am hoping to visit many of them. London would be a wonderful base for us. Our home is on the end of a very quite street. Our only traffic are the locals in this street. Our neighbours are delightful people, everything from local business owners to local artists. All are very friendly and helpfull. At the end of our street is a large park with some very established Australian natives - play gym / basketball court / BBQ. There is a small convenience store/bottle shop/takeaway/ hairdresser near to the park.